We don’t hear with our ears, we hear with our brain. Our ears are the "doorways” for sound. Our brain tells us what we are hearing and gives those sounds meaning, as in speech. If left unmanaged, hearing loss can have a negative effect on the auditory development of a child’s brain. A child’s inability to detect sounds clearly or understand speech in noisy environments can greatly impact spoken language development. If children with hearing loss are appropriately fitted with hearing aids, they’re better able to take in speech clearly. Hearing aids also help children develop the ability to discern various sounds in their surroundings. Rather than turning up the volume on all sounds equally, the latest technology in hearing aids allows for appropriate amplification of each frequency (pitch) to meet the unique requirements of the wearer. Also, the size of hearing aids has decreased, and they come in an array of neutral and fun, bright colors specially coated to resist dust and water. Hearing aids can even connect to other electronic devices, such as a TV, computer, cell phone or Bluetooth device. Hearing aids are appropriate for all levels of hearing loss, and can even benefit children with mild hearing loss. A bone conduction hearing aid is a small hearing device designed to transfer sound vibrations through the skull. Children or adults with normal to near-normal hearing in their inner ear, but chronic middle- or outer-ear hearing problems, benefit from this device. In young children, the hearing aid attaches to a soft headband. Sounds are picked up with microphones and sent directly to the inner ear via vibrations through the skull. Children 5 years and older may be candidates for this surgical approach. It involves connecting the processor to an implant in the temporal bone, which is on the side of the skull. The processor can also be connected to an external magnet that transmits sound to an internal one. When hearing aids don’t provide sufficient access to sound and language, another option is a cochlear implant. Sound is processed through an external device and transmitted by magnet through the skin to an internal device. The internal device sends an electrical signal through an electrode placed in the cochlea, a cavity of the inner ear. Newer hybrid approaches involve a combination of electrical stimulation with traditional acoustic stimulation through the natural auditory system. A hearing aid portion provides the low-frequency (low-pitch) sounds while the cochlear implant provides the higher-frequency (high-pitch) sounds. The majority of children who wear the newer device experience a richer, clearer quality of sound. In addition, new designs and surgical techniques preserve more of the cochlea compared to traditional implants. Our brain needs clear consistent sound to support good speech and language development. Hearing is more important in children than in adults because children are still learning in school and building social relationships through communication. Hearing is not all or nothing. Hearing loss can happen in varying degrees: slight, mild, moderate, moderately severe, severe and profound. Learn more about hearing loss in children and its effect on speech development by visiting the American Speech-Language-Hearing Association. The Centers for Disease Control and Prevention also has information on hearing loss in children. If you have any concerns about your child’s responsiveness to sounds, attention, or speech and language development, talk to your provider to see if a referral to an audiologist is appropriate. An audiologist can also help determine which hearing aid is best for your child, if needed. 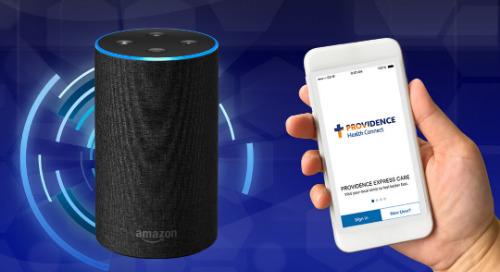 Don’t have a Providence provider? Find one near you.